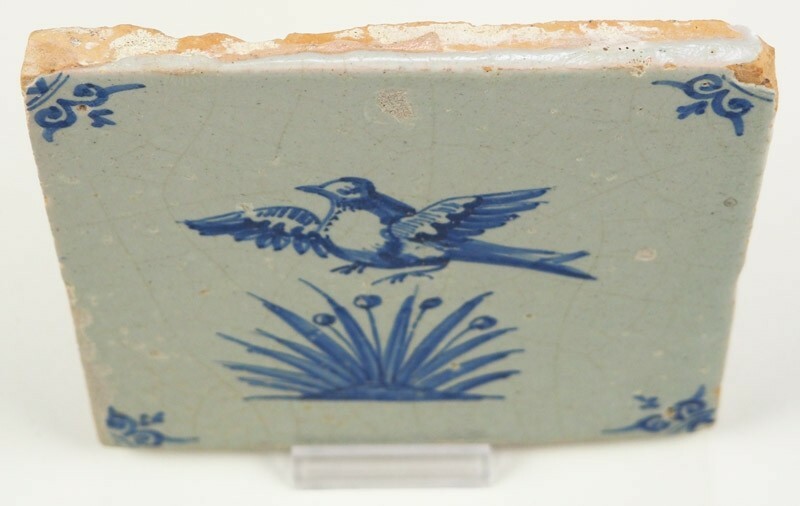 This is a rare 17th century (c. 1650) Delft tile depicting a bird that is probably fleeing from barking dogs. By flying from the save tall grass, the bird becomes a target for the hunter. 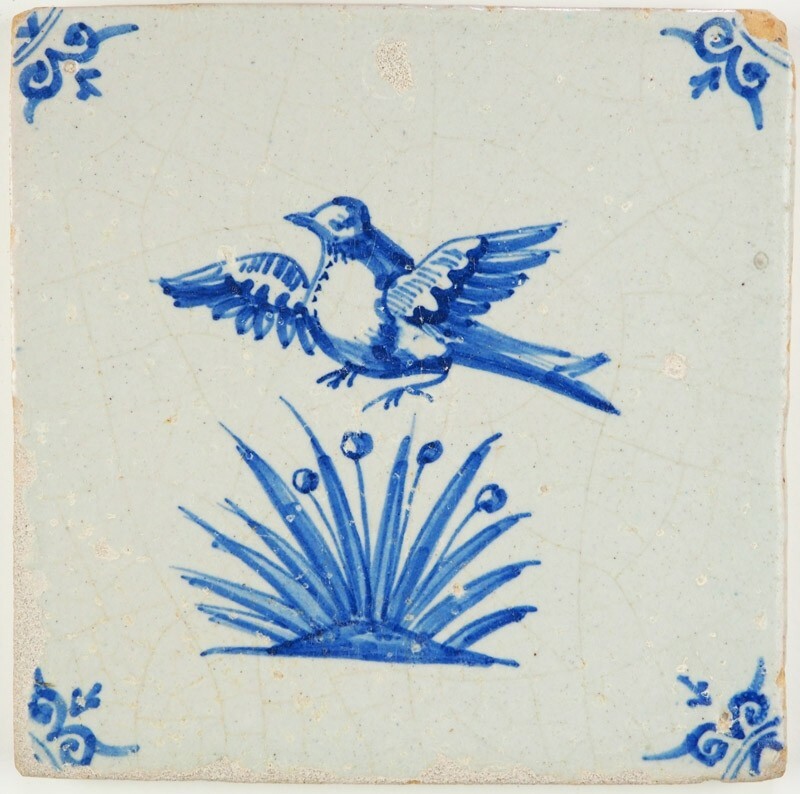 There are a few more tiles known depicting similar kind of scenes, sometimes also depicting the silhouette of other birds in the grass. 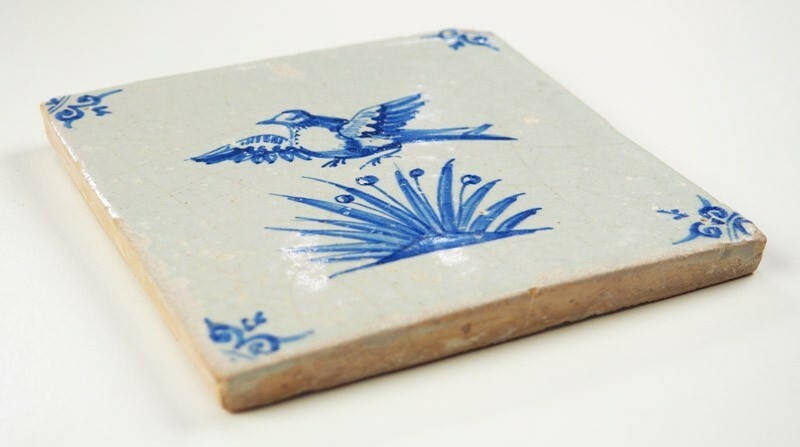 The tile is decorated with 'ox-head' corner motifs and is in a good condition. 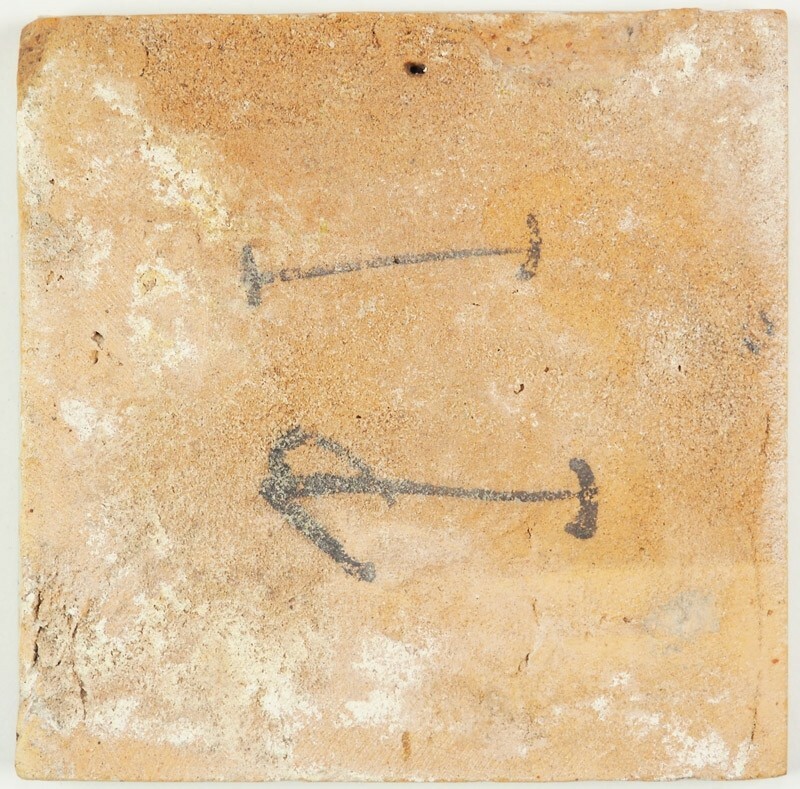 Do note that mainly the left side is slightly worn and the chip on the top right corner. It also has a few minor dents accross the surface.